You experience highs, lows and everything in between. I feel like every piece of advice is helpful and advice from someone who helps couples every day is GOLDEN. 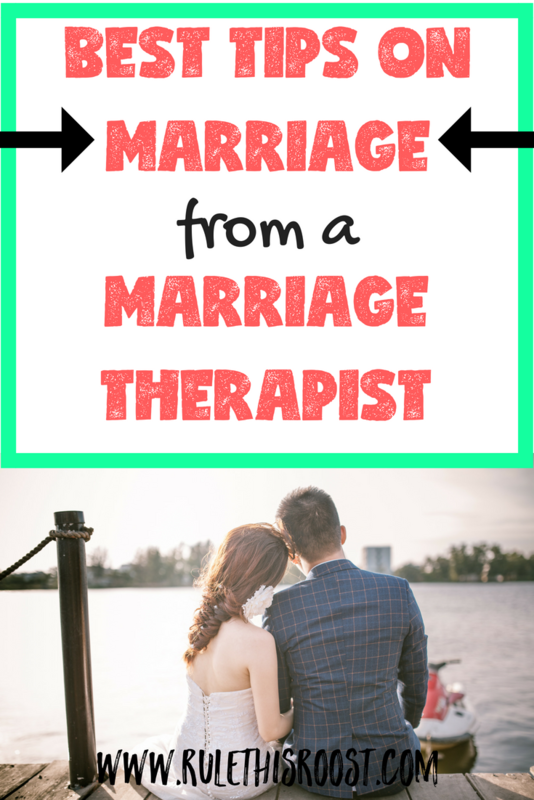 In this podcast interview, I sat down with LaVonne Dyste, a licensed therapist and we chatted about all things marriage. She gives some great advice and insight and shares some of her favorite marriage help books as well. You CAN improve your marriage! Take a listen and find out how! IF by Evelyn McFarlane and James Saywell. Katrina: Hello! Today I have a very special guest on the Pajama Podcast. We have spent months trying to get our schedules to work so we could make this happen. Today I have LaVonne Dyste with me. Lavonne: Sure. My name is LaVonne Dyste. I am a Licensed Professional Counselor- Supervisor in Private Practice at The Springs Counseling Group in New Braunfels, Texas. I work with various mental health disorders. One of the areas of focus in my practice is working with couples who are trying to improve their relationships and their family life. Let me just take one second though before I go any further. I’d to say thank you, Katrina, for allowing me this opportunity to speak with you and hopefully your listeners can gain some knowledge from the interview that we’re doing today. Thank you so much. Katrina: Thank you! I know you’re busy and taking this time out is awesome. So, let’s get started. What are some pressing issues that you currently see in marriages? LaVonne: Oh dear. There are so many. Couples seem to have problems with commitment to the marriage. It seems like some couples forget how to honor and cherish one another… And in some cases there is a lack of respect and encouragement in the relationship. Communication problems are another pressing issue. It’s not only about listening, but really hearing what is being said and practicing transparency in communication. Talking about their fears, inadequacies, hopes, and their dreams for their future together. Katrina: How can spouses prevent these problems from occurring? LaVonne: Well, that’s a great question! It’s kind of like baking a cake. If you mix only the dry ingredients and shove it in the oven to bake, you most likely won’t like the cake. No one will! Marriage is a lot the same , if you start off in the marriage with only the basics, there will probably be a lot of disapointment in the end result and no one will like it and it is that no one will like it. So, these basics are an understanding of your own self and your needs and an understanding of your spouse’s needs. You mix in a healthy dose of commitment and communication, respect and love and we’re almost there. Top it off with cherishing and honoring your spouse and NOW we have a recipe for preventing some of the problems that spouses experience. We are living in an instant gratification, and disposable era right now, which makes it easy to throw our hands up in the air and say, “I’m done”. Back to the cake. You probably would try to save it by adding the rest of the ingredients. So, enough said about that. Katrina: Okay! I like that! It seems like marriages are under an unprecedented amount of stress in today’s society. What do you attribute this to? And, what can be done to take the pressure off? LaVonne: You know, I feel that among many stressors in marriage, one of the largest stressors is lack of time for the couple to stay connected. When couples date, there is ample time for the couple to spend together in intimate discussions without interruption. In marriage however, this is not the case. Especially when there are children involved. Then, it becomes a balancing act with racing kids to activities, school functions, appointments, and all of that….in addition to a job. Just thinking about it makes me exhausted. Unfortunately, couples have to schedule quality time to spend together, without talking about finances or children. It has to go on a calendar. Because if it doesn’t, it most likely won’t happen. And if it doesn’t happen, you can count on the relationship going a little sour. Katrina: Okay, so what would you tell someone whose marriage is in trouble? What is their first step in rescuing their relationship? LaVonne: What I would recommend to any couple whose marriage seems like it’s in trouble is to seek marriage counseling. A qualified marriage counselor can help the couple navigate through the issues that are occurring and help the couple create a plan to reunite. To be honest, I feel that if couples didn’t wait until the “D” word was exchanged, their marriage would stand a better chance of surviving. Katrina:What about those who are reluctant to seek therapy? LaVonne: You know, I tell couples that they can try to do this themselves with self help resources online and things like that. Often times though, they will try that and then fall off the wagon and stop trying and ultimately end up in my office. Katrina: The 7-year itch is a common buzz phrase for married couples. Is there truth in that phrase? LaVonne: I can’t speak for all married couples on this one. But, to be honest, I don’t see many couples experiencing the 7-year itch. Surprisingly, I find that many couples come in for help after 1,2, and 3 years of marriage and then some at 12-15 years and again surprisingly at 20+ years. In my practice, there doesn’t seem to be any specific number of years that go by before couples seek counseling for problems in the marriage. Katrina:What stage in marriage seems to be the most at risk for problems? In my opinion, Stage Three- Everything would be great if you changed is the most at risk for problems. In this stage, it appears to be more important to be right instead of loved. And instead of finding solutions to problems, each person seems to want to be right….to prove their point. Katrina: I’m going to link in the notes for that book. Katrina: I hear and read a lot about the importance of spouses spending time alone (date nights, get aways etc., to sustain the marriage). What are your suggestions for couples who are tight on money, time, and or childcare availability? LaVonne: I know several couples who are in this position and they seem to make it work. Some couples get a sitter, go to the park and enjoy a picnic, or ride bicycles together. Quite a few couples I know trade off babysitting with other couples. Then they go back home to make a candlelight breakfast, lunch or dinner together and later, take some time to talk about some fun topics. There are tons of books out there that help couples come up with interesting and fun topics and questions to ask each other, when communication is difficult. One book off the top of my head is titled “IF” by Evelyn McFarlane and James Saywell. Check it out! It’s a great little book. Katrina: What is your advice for moms like me, who are tired at the end of the day? Our proverbial cups are empty (and our literal coffee cups) and being a wife falls by the wayside, unfortunately. What is your advice? LaVonne: So,it sounds like what you’re asking is how Moms can find their equilibrium in motherhood and marriage? Is that right? LaVonne: It’s all about balance. You know that gut feeling when your life is out of balance and everything becomes hard? Well, to keep it simple, I have developed an acronym that puts balance into perspective. That acronym is GUT. Put God first in your life, US second and the children next. You may think it sounds selfish. But, Consider that God is director of our lives. And, and when wives and husbands follow his direction, they will honor, cherish, and love each other. Now consider the “US”. This does not mean glued to the hip. It means spending time together and also taking a little time to rejuvenate on our own. You can’t keep giving without taking for yourself. Last, consider the “THEM”. THEM are your children (and everybody else) When we map out our lives according to the “GUT” model, our children observe what a healthy marriage looks like and they learn how to be a part of a happy and stable family. And our friends and relatives observe what a strong and united marriage looks like and who knows? Maybe they will wonder how you do it! So, GUT. God first, Then Us and then Them. Katrina: Awesome! GUT, that’s easy to remember! What is your advice for women, specifically, to nurture their marriage? Which we’ve already kind of talked about, but add onto that. LaVonne: Women often times feel that men and women think alike. If I told you to love your husband, you would probably think that treating him well, making special foods he likes, taking care of his clothes, giving him affection, spending time with him and things like this mean loving your husband and they do…TO YOU! What women need to understand is that men feel our love through respect. And, I feel that as women, we have a difficult time understanding what this respect looks like and how this respect nurtures the relationship. When women think respect, we may think that being polite, giving our hardworking husband a few minutes of downtime at the end of a day, and those kinds of things mean respect. But, let’s just take a peek at what is it that helps a man feel most respected…or in woman language, LOVED. Katrina: Ok! Tell me more! LaVonne: Your husband will feel respected when you trust his opinion. By trusting your husband’s opinion and judgment, your husband will feel supported. Have you ever taken a drive together in the car and you constantly tell your husband where to turn, where to park, and where to eat? Lavonne: Or, do you ever make plans for an evening out and YOU tell your husband what to wear, where you are going, and what time to leave the house, how to behave at the event and what time you will leave the event to return home? Did you answer “yes” to all of those? LaVonne: You probably weren’t aware, because YOU are a woman…. but in essence you’re telling your husband that he cannot be trusted in these small decisions and he may feel that if you don’t trust him in these small things, you probably don’t trust him with anything at all. So, to nurture the relationship, allow HIM make a judgment call, give an opinion and make a decision… without interfering. See what happens. Ask him later if he noticed that you stepped back from your usual behavior of calling all the shots. Ask him what it feels like to have his own opinion. So, try this and see if that works. Katrina: So, quit being bossy. Lavonne: Uhhh— kind of like that. Some other ways to show respect to your husband is to speak highly about him to others, when he is in your presence. Brag about him instead of putting him down. Do this in front of your kids too. Men need admiration. Someone once told me that when you look into your husband’s eyes when he is talking with you and you think the word admire, that it shows in your eyes and he can feel it. Try it. Tell your husband that he is amazing! Tell him how intelligent you think he is. He will beam from ear to ear. There are so many other ways to nurture your relationship. For instance, go to the door and greet your husband with a hug and a kiss when he gets home from work. Or, if you’re a working woman, and he’s already at home, seek him out and show him that you care that he’s there. It is amazing to me how many couples I see in my practice, who don’t even acknowledge each other upon waking or after a day’s work. And, they wonder why their marriage is falling apart. Listen. You can’t put marriage on auto-pilot. It’s a show and tell sort of thing. Your show me that you love me and I will tell you that I do. Katrina: That’s great advice. No autopilot. And I think that’s something that a lot of people do because we’re busy. Katrina: What is your top book suggestion for someone looking to improve their marriage? Or suggestions. More than one is great. …and then there’s another one that I really like called: “The Five Love Languages” by Gary Chapman. These books give some further insight to what we are talking about in this podcast and they are definitely worth the read. 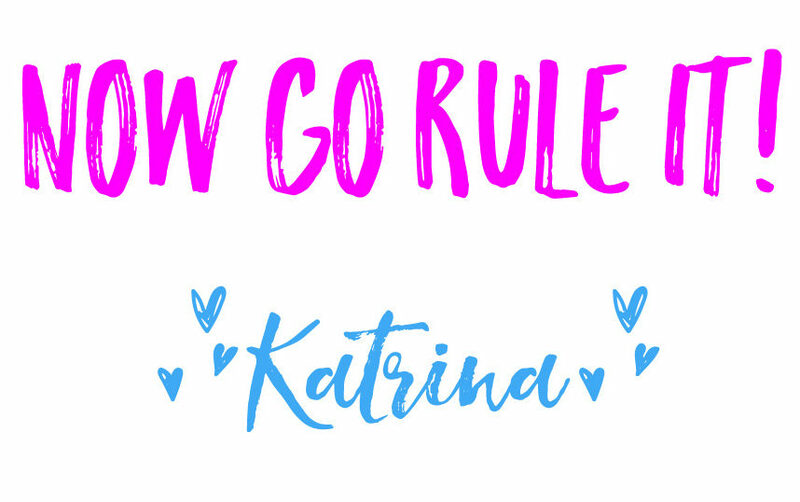 Katrina: Do you have any other advice on a healthy marriage before we wrap this up? LaVonne: You know, I am a therapist and I feel that so many times couples wait too long before getting the help that they need to get their marriage back on track. Couples sometimes need a boost. It’s not easy staying committed to a long term relationship and sometimes the joy of spending time together is slowly erodes. Just know that healthy marriages experience peaks and valleys in the relationship. Talk about what makes your marriage healthy and what needs to change. And if there is a problem that you have trouble solving, get some help. Katrina: I know that getting help doesn’t always mean going into therapy in a physical place. You do phone consultations and sometimes by email. What is your contact information for anyone looking to get into contact with you to set up therapy? Any help that I can give you, of course I’m more than happy to do that. I love my work and I love helping couples and I love watching happy families stay together. Katrina: Awesome. Thank you so much! I will put the contact information in the notes of the podcast. Thank you! It’s been a joy! Katrina: We’ll have you back soon! Do you have more questions for LaVonne? Ask your question either by email or in the comments and we will have a Q and A with LaVonne in the future!